The developer has updated the firmware especially to include punctuation signs like / and - in the message text, which is essential (as far as I know) for acceptance by the gateway. As can be seen, the unit is very minimal and lightweight. It has a maximum TX of 1W, so not as much as an HT, but for those using a lightweight beam for 2m, it should still be enough to get spotted. It can also be connected to an Android device and used as a KISS TNC; something else I am gradually getting my head around. You need an OTG cable for the connection, but the interface is much easier to use than programming messages letter by letter into the Pico APRS. The system is not perfectly stable, but it seems to be working OK at the moment. There is a review of the Wimo Pico APRS Tracker in the September 2018 issue of QST, pages 43 - 45. This is accessible on-line for ARRL members. This is accessible on-line for ARRL members. Nice article. 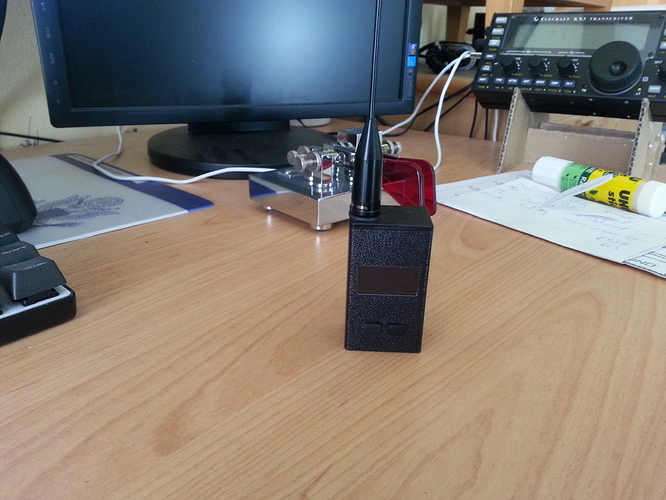 I will be trying out the Pico APRS in the field tomorrow. I will use it with the Diamond SRH36 handheld antenna I bought at the same time, so it will be interesting to see how well I get out. There are plenty of APRS repeaters in the area; the one on the Mugel will probably pick me up best from where I will be tomorrow. I had wanted to get into APRS for a while, but not being active on 2m/70cm, I didn’t want to spend a huge amount on a new HT (some of which are eye-wateringly expensive). This seemed like a nice option for getting one’s feet wet in the world of APRS, but as the article says, once you dip in, the possibilities really open up. I might have to knock up a homebrew Yagi for 2m soon! OK, first field test was a fail. Unfortunately, when I updated the firmware the stored message text was deleted. When I re-entered it last night, I forgot to include the mode, in this case CW. Both my messages were rejected by the gateway. However, the raw packet data shows that I was picked up by OE6XBF-11 (59.5KM) and OE6XG-2, both of which were quite a reasonable distance for just 1 watt output. So, I remain hopeful for the weekend when I will give it another go. I was out yesterday on the Haneggkogel and Parmaseggkogel. The PicoAPRS worked fine. It is quite easy to change the message body when changing frequency and I didn’t need to connect to the smartphone at any point. Overall, I’m very pleased with this device. Thanks for the info… can you give us a little more information about using the smartphone? What software? Maybe a picture? I have found that you need to put the PicoAPRS into TNC mode, connect it to your smartphone via an OTG cable, at which point you will be prompted to open APRSdroid. Hope that helps. Some year ago I bought an used kenwood thd7, and now, I used during my activations for v/u qso and also for send “self-spot” with apsr2sota gateway. Yes, the builtin gps is missing, but in any case, for me, it’s enough the possibility to send spot when the mobile network is missing. As an activator on 2m FM, there is good reason to go for an HT instead. Me: I’m only interested in HF CW. I would be interested to know if APRS spotting is viable using the new FT8call software suite? But that would probably deserve a thread of its own. I have joined the FT8 group, so I hope to get more info when I have time. I notice some messages are being flagged as ‘Invalid Message Packet’ at some igates, whilst being accepted at others. That is to be expected I suppose when the signal path is less than ideal. However, I also noticed that my message spotting OE/ST-467 on 07.0315 sent at around 11:15, did not get received until 13:09, when I arrived at the second summit that day and turned on the PicoAPRS. It may be that I turned the PicoAPRS off too soon at OE/ST-467 and the message was not sent. When I turned it back on at OE/ST-465, it was then sent and picked up by the system (sorry for any confusion). I guess the lesson here is to leave the PicoAPRS on until the activation is finished. Thanks for the tip, I set the SSID to 0. When I first started using the PicoAPRS for spotting, the 2 came up by default when I entered the address, so I just left it as it was. Perhaps the change will help. just found out that if you send “/SPOTS” to “SOTA” you get messages with the last spots appearing on SOTAwatch! Yes, I did know about the spot command. Unfortunately, the PicoAPRS has only one message bank and letters can only be entered with the two buttons on the front, so deleting the spot info and re-entering it is too time consuming. I usually set the messages up the night before and then I just have to change a few numbers on the day. 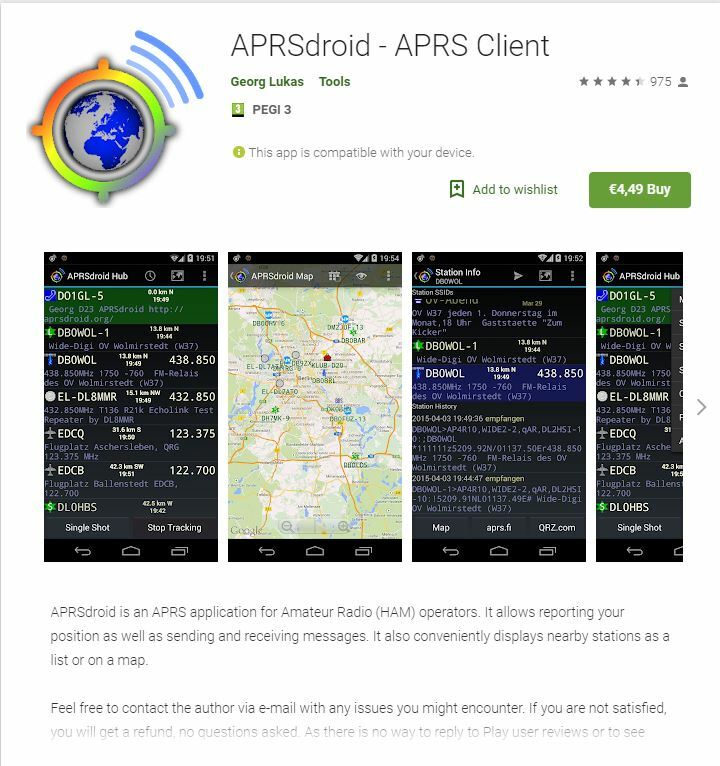 However, that might be something to try with APRS Droid.